This is a coated semi gloss in appearance, white stock that comes with two different permanent adhesives. 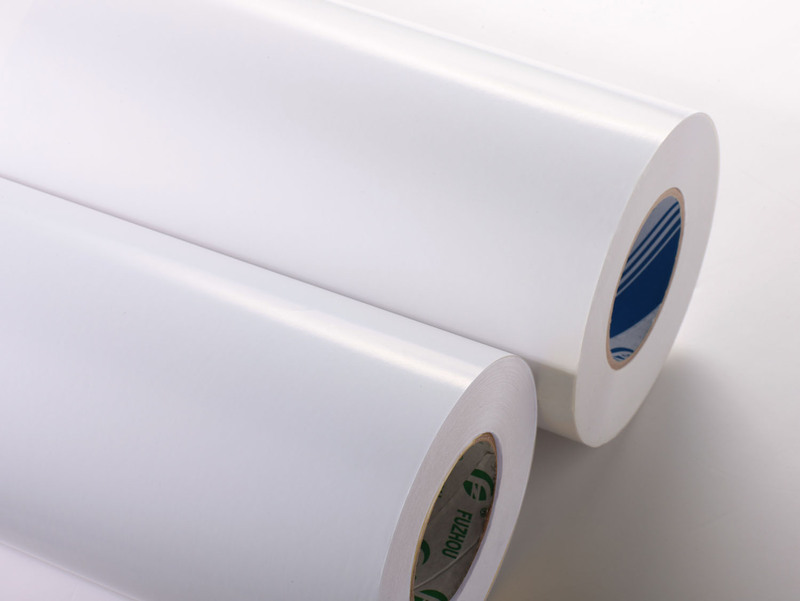 One is a rubber base system for general purpose labeling applications that need a quick stick feature, and the other is a acrylic cold temperature adhesive that is FDA approved for indirect food contact applications. This can be used on the packaging of seafood, poultry and other meat products. Also useful when bar coding is needed. This is also available with a removable adhesive for temporary identifications.